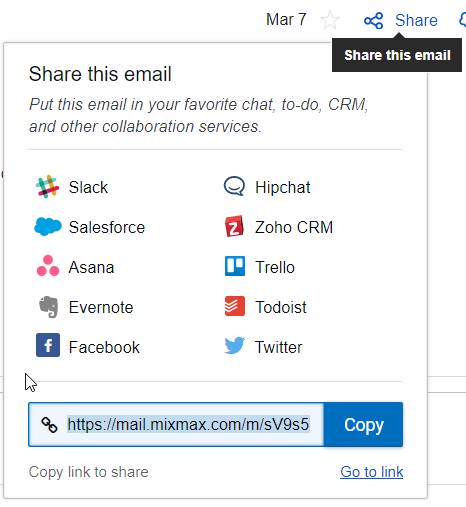 When you click the Share button (see screenshot below), it creates a unique share URL (e.g., https://mail.mixmax.com/m/5m3VxNmUJ75NZdxRa). The ID on the URL is random, so it's near impossible to guess. The shared email is available on a web page, and anyone who has the share link can access it. 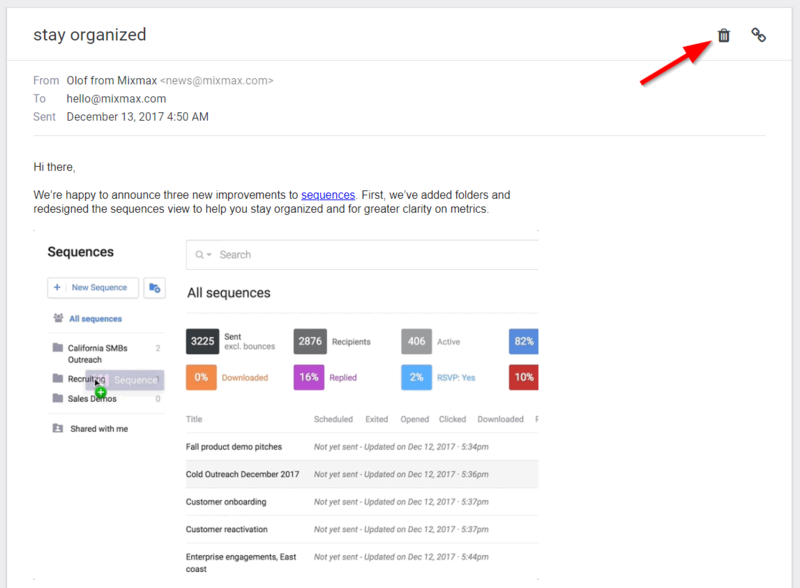 To stop the email from being shared, click the trash can icon (see screenshot below) - that deactivates the link, and no one can access it.